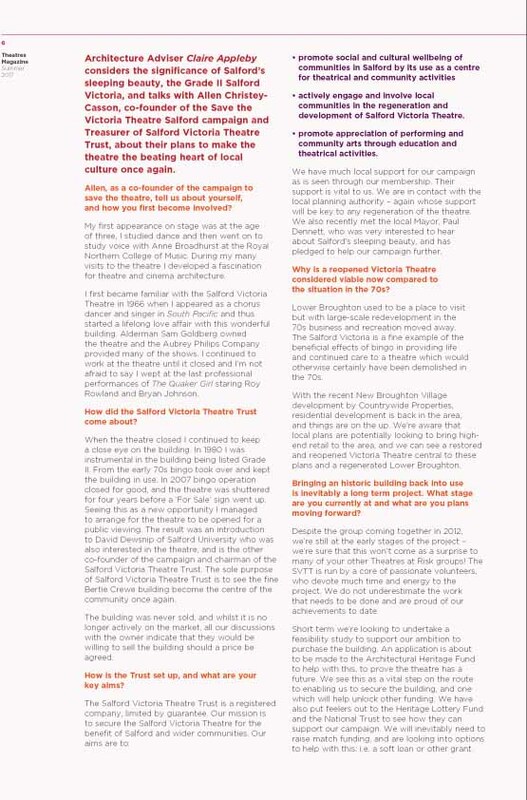 Article published in the Theatres Trust Magazine Summer 2017. 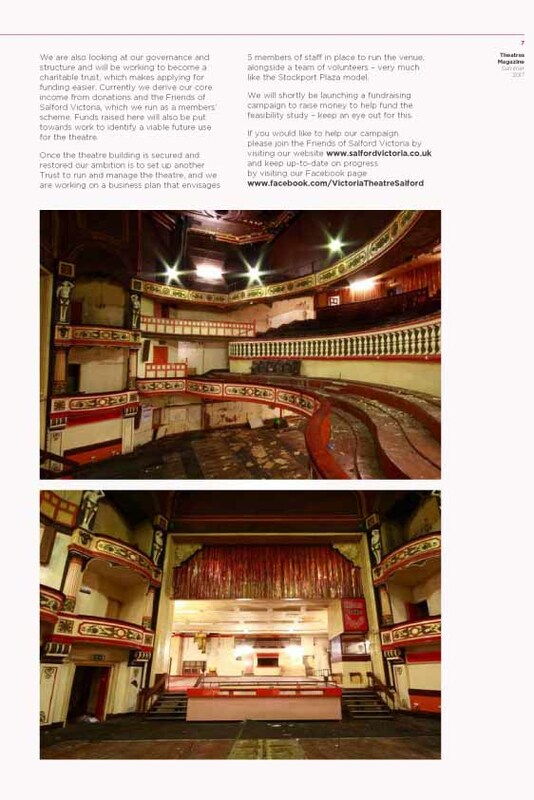 The Theatres Trust, the national advisory body for theatres, supports Salford Victoria Trust’s ambition to restore and reopen the Grade II listed theatre and they are providing advice and support for the group’s work to procure a feasibility study looking at the future viability of the theatre. 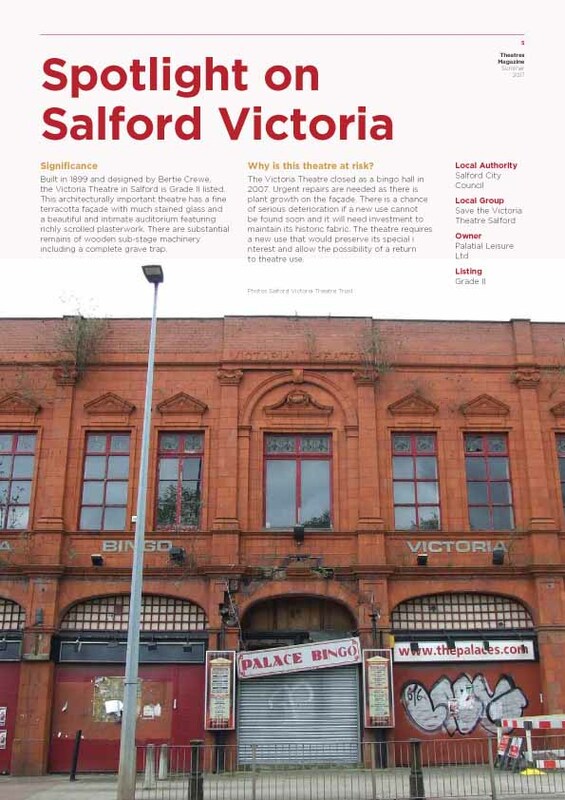 Salford Victoria is third on the Theatres Trust Theatres at Risk register of significant theatre buildings most in peril throughout the country. NB – We apologise for the errors in the dates given for the opening of the theatre in this article. The opening was in Dec 1900 not 1899. Sir Henry Irving laid the Foundation Stone on October 4th 1899.